We get messages from all over and throughout our entire lives about who we are and what we should be like. Whether it’s from the media, family, friends, peer groups, classmates, movies, or TV, we’re constantly bombarded with being told that our bodies need to look a certain way in order to be accepted by society. 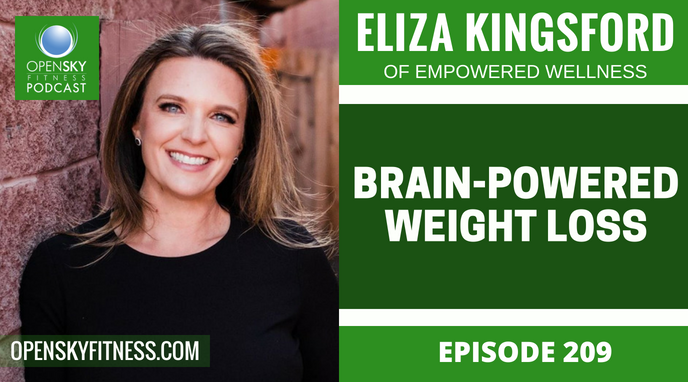 This week, we have an amazing interview for you with licensed psychotherapist, Founder of Empowered Wellness, Executive Director of Wellspring Camps, and author of Brain-Powered Weight Loss, Eliza Kingsford. Losing weight and successfully maintaining it over the long term is not as much about what you put in your stomach; it’s more about what’s happening in the brain. 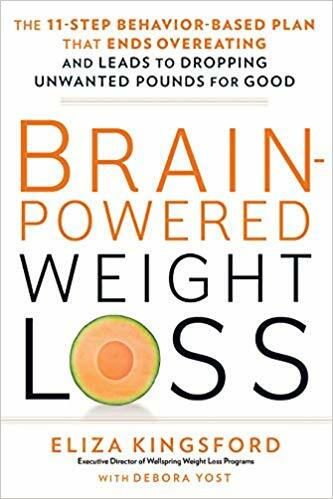 In Brain-Powered Weight Loss, psychotherapist and weight management expert Eliza Kingsford shows that more than 90 percent of people who go on diet programs (even healthy ones) fail or eventually regain because they have a dysfunctional relationship with food. 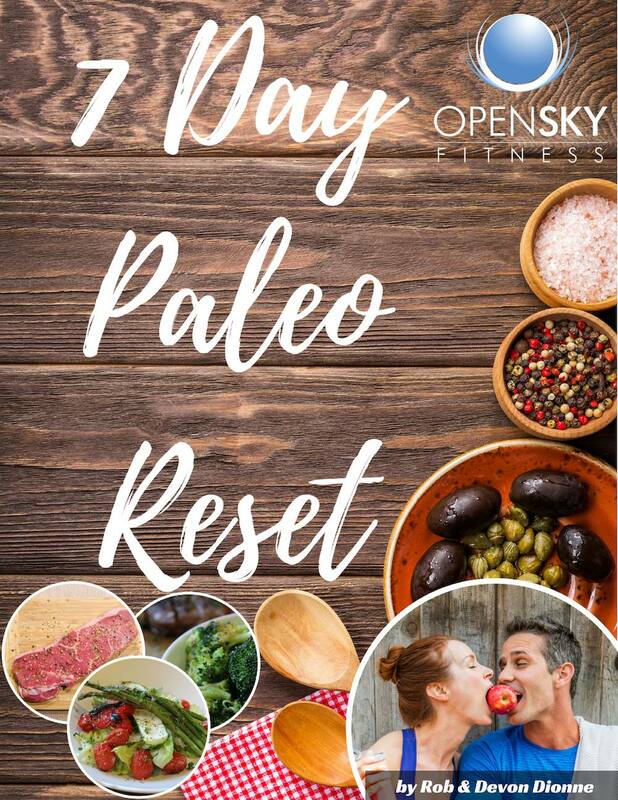 Changing this relationship by changing the way you think about and behave around food is what it takes to permanently achieve weight-loss success. 20:00 How she’s helping people change their relationship with food through therapy, meditation, and replacing old thoughts with new ones. 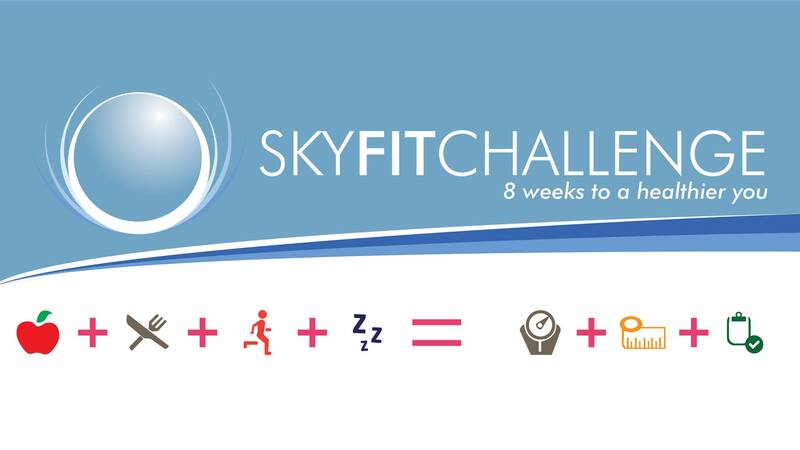 21:50 Why words like ‘diet’ or ‘weight loss’ are so taboo these days. 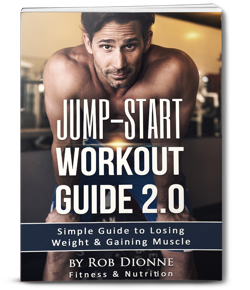 37:00 What it takes to get to the point when you’re really ready to start focusing on your health. 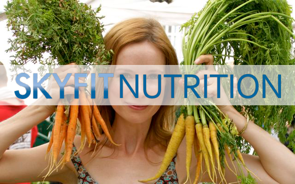 38:00 Step 3 of her 11 Step Program – Identify your Thinking Errors and Food Triggers. 47:55 Jumping to conclusions: Why they’re hazardous to our thinking. 1:00:00 Final comments with Rob and Devon. 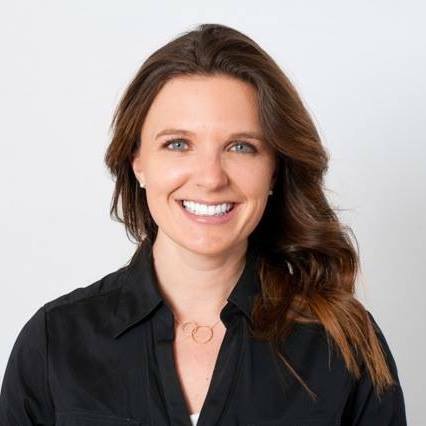 Thanks for listening/reading episode 209 – Brain-Powered Weight Loss with Eliza Kingsford! We hope you have gained more knowledge on how to be a healthier you.